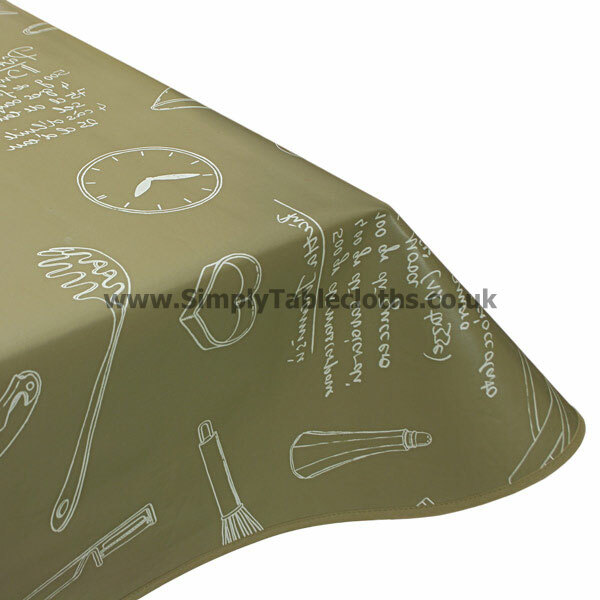 For the domestic divas who are whizzes in the kitchen, this tablecloth is for you! The classic taupe color is neutral enough to match your home’s décor, while the fun utensil pattern pays homage to all things cooking and baking. Add a little fun to your kitchen table with this whimsical print. The vinyl surface allows for an easy wipe clean finish.